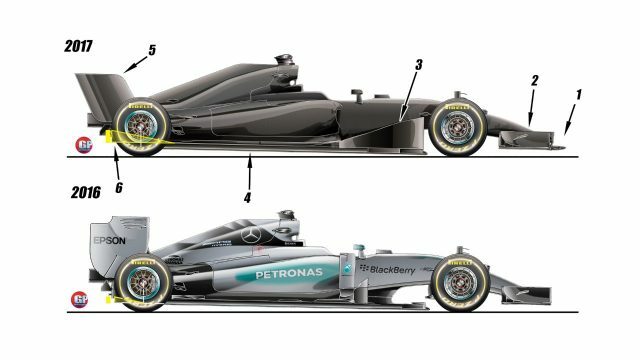 About a week ago, I was wondering what the 2017 Formula 1 cars would look like, partly due to a whole list of posts on reddit with how the 2017 McLaren would or would not look. I was thinking about making my own version and adding it to the mix, but I did not have a clean slate from which I could create the livery. Instead of giving up, I made my own clean slate, based on a picture detailing the 2017 regulations by Giorgio Piola. I made a few liveries, but could not force myself to make a livery for every team on the grid. Instead, I am giving away my template, so that you guys can continue the work! 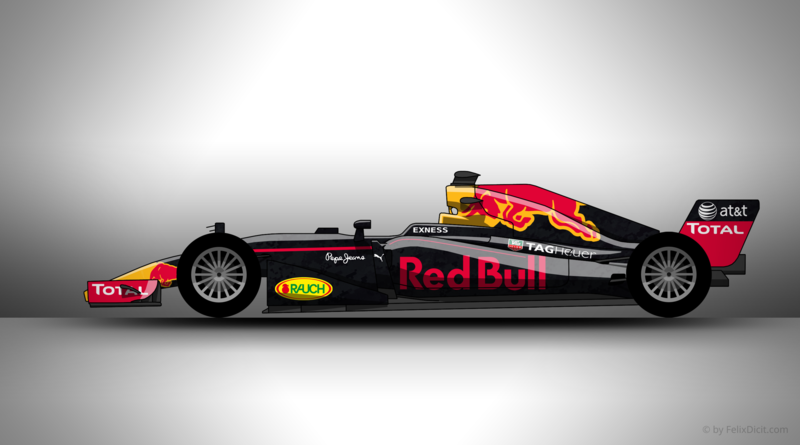 The base model, click for full size. Above is the base model. The fun thing is, I made it modular. This way, it is very easy to adapt and create your own with Photoshop. 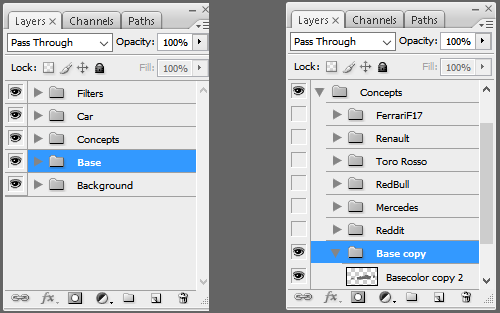 If you look at the picture below, you see the layers-window in Adobe Photoshop (if you don’t have this open by default, hit F7). If you rightclick the folder named ‘base’, you can hit ‘duplicate group’. This creates a new folder, which I suggest dragging into the ‘concepts’ folder (in which you can see my own concepts). If you CTRL+left-click the layer called ‘basecolor’, it automatically selects the content, so you can brush to your heart’s content without drawing outside of the lines. You can download the .PSD file by clicking this link. Here are some of my own creations. They are not all that exciting, but I tried going with a realistic angle – not over the top. I would love to see what you guys can come up with. Please, show me your creations. Also, if you have any questions about how to use the template, feel free to ask me; I’d love to help out! 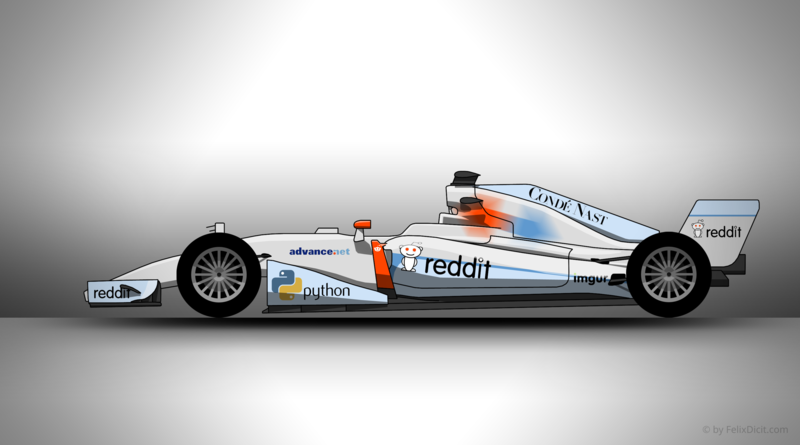 If you don’t have photoshop/gimp or the necessary skills to make a livery of your own digitally, but still want in on the fun, here’s a little extra. You can download and print this version, so you can color in your intended design. Here’s a link to the .pdf file in my Google Drive, below is a preview. Where’s the free “professional” photoshop template you’re providing to people? @artem391 can you show us an example of your work?